The foreign exchange market is a globally interconnected marketplace, so events from all over the world can have an immediate impact on exchange rates and currency values all over the world, including New Zealand's. These could be big political events, natural disasters and even war, or small things like interest rate hikes, and changes in commodity prices, like oil. The New Zealand dollar has already seen an impact from President Trump's inauguration - his first press conference saw the US dollar (USD) plummet, and as a result the Kiwi dollar soared against the USD. 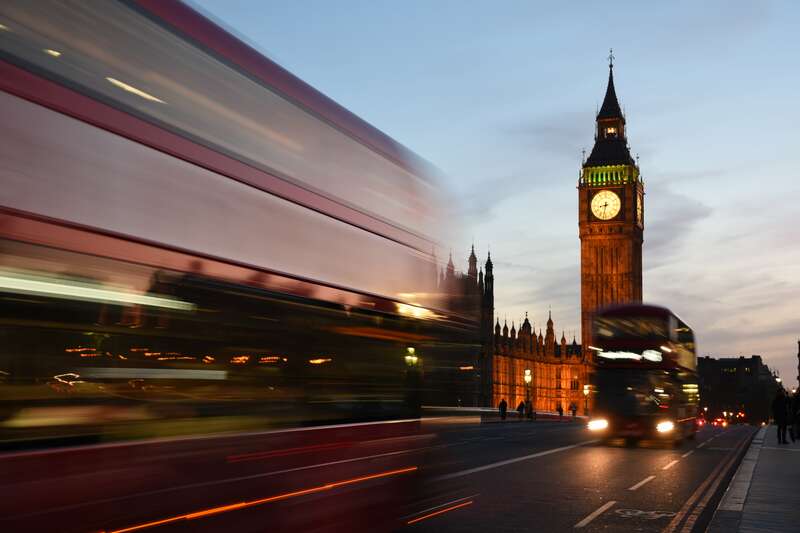 Last week, the British Prime Minister called an early election for the UK and this political announcement saw the New Zealand Dollar take a dip against the British Pound. So what events are happening this year that could have an impact on global foreign exchange markets, and on the New Zealand currency in particular? We've taken a look at what's recently happened, and what's planned for the year to come, as well as how it could impact global economies, including our own. On the minds of all Kiwis recently has been the aftermath of Cyclone Debbie, and now, at the time of writing the impending Cyclone Cook. The remains of ex-tropical Cyclone Debbie dumped a huge amount of rain on New Zealand, and especially on the North Island. The region has been devastated by floods and landslides, and many communities are still cut off from their homes. The impact of cyclone season on New Zealand is still to be assessed as we move from one flood disaster into another, but it is sure to have a large economic impact on the region, and on the country as a whole. If the floods have a long-term impact on the farming regions and on tourism, this could spark a breakout in inflation. A a high rate of inflation can cause the value of the NZD to drop, as the price of local goods increase after these natural disasters. As these domestically produced goods become less competitive with imported goods, the demand for them goes down - both locally and internationally - and as a result, the demand for the NZD decreases too. This could have an impact on the exchange rate we have with other countries, but at this stage it is still "wait and see" as the full impact of the disaster is assessed over the coming weeks and months. The chemical attack in Syria on 4 April 2017, followed by the missile strikes on a Syrian airfield, ordered by President Trump, triggered an instant reaction across global markets, which is still playing out at the moment. The USA believe the chemical attack, which killed 70 people (including civilians and children), was ordered by the Syrian Government. The US strike, against a regime backed by Russia, has made the markets jittery - oil prices spiked after the US launch, and the global currency markets were up and down in the hours and days after the strike. The uncertainty and political instability that surrounds Syria, Russia and the USA at the moment has traders on edge, but what happens next remains to be seen and depends on international reactions to the attacks, especially that of Russia and Iran. Last week, British Prime Minister Theresa May, called for a snap election in June - three years early. This has come amid a period of uncertainty for the UK, surrounding "Brexit" and what impact this will have on the UK and on global markets. The uncertainty that has surrounded "Brexit" has recently made for a lot of volatility in the foreign exchange market and the value of the British Pound has been very up and down since the referendum. But, the announcement of an early election has actually seen the currency markets rally and the GBP strengthen over the last few days. There is a lot of talk about the early UK election at the moment, and about how it will affect the UK, the EU, Brexit and global markets, so next week we'll bring you a more in-depth look at what is happening across the pond. "Brexit" is mixed up with other aspects of European instability, which is further impacting the value of the Euro and its exchange rate against global currencies, like the Kiwi dollar. This year the Netherlands has already had a presidential election, and France and Germany are still due to each have one later in the year. Both elections hold a certain amount of political insecurity, with far right candidates featured in each. In France, a change in their presidency is likely to have a strong impact on the Euro (EUR), and may influence whether it continues on its current downward trend, or bucks the trend and moves toward greater strength. France is the 5th largest economy in the world, so investors are keeping a close an eye on the polls and trends in the lead up to this election - at the moment, factious contender Marine Le Pen seems unlikely to win, according to trend lines, but the shocks of Brexit and the US election have left people feeling uncertain about trend lines. If she should win, the EU could be facing its biggest crisis yet, eclipsing Brexit, as her radical policies would drastically disrupt the EU economy and global markets. The French election happens over two rounds, with the first one happening in April, and the second in May. Uncertain results make for uncertain times in the European economy. Germany's election is probably less contentious, as it seems likely Angela Merkel will be reelected for a 4th term in office. However, opposition parties have grown over the last few years, and it is looking unlikely that she will have the same majority rule she has now, which has recently made it easy for her to get support. The opposition is also more hostile, with a growing anti-euro and anti-immigrant movement appearing in Germany. This could make things difficult for Merkel, who is currently seen as the most important leader in Europe. Once again, the chance of the hostile opposition taking power (or more power) seems unlikely, but people are more wary of ruling it out all together after the success of Brexit and Trump. The German election is set for September this year, so more details on how specific outcomes could affect the euro and its exchange rate may come out in the lead up to the election. The current president of Iran, Hassan Rouhani, faces re-election in May this year. Seen as a moderate reformist, Rouhani has made a lot of progress over the last four years in terms of having sanctions against Iran lifted, brokering a Nuclear deal with the US and other world powers, and reintegrating his country into the global economy. This is all currently under threat by Trump's push to scrap the nuclear deal, and a rise in hard-line conservative political factions that are going up against Rouhani in the upcoming election. If he loses this election, world powers may react by putting economic sanctions back in place against Iran, and this in turn will impact on Iran's ability to sell oil abroad and will see a rise in oil prices across the world. This will mean slower global trade and growth, and that will definitely have an impact on New Zealand. Together with the G7 meeting in May, the G20 Summit (to be held in Hamburg in July) will be a first for President Trump and Chancellor Merkel, as well as Prime Minister Theresa May. With the world's leaders all together, the Summit agenda is set to focus on the global economy, foreign policy, migration and refugees, and counter-terrorism. Discussions and decisions made at the G7 meeting and the G20 Summit could have impacts around the world, and investors are sure to keep a keen eye on the outcomes and how they may impact various countries and currencies. With most of the events either currently happening, or only set to happen in the coming months, it is hard to predict exactly how they may impact the New Zealand economy and dollar, although we are sure many analysts will try. But, every few months we like to update our customers on what is new in the world of foreign exchange, and as the above events occur, and the impacts on the Kiwi dollar become more obvious, we will be sure to let you know all of the details in the next update! In the meantime, our team of FXperts are also available to help with any foreign currency related questions you may have, so just visit your nearest store and ask away! Janelle has 6 years of experience working in the travel industry as a digital marketer, with the last two specialising in Travel Money. Coming from a background of Journalism and English, Janelle enjoys writing copy for blogs, websites and social media, and has written guest posts for both Cruiseabout and Travel Money NZ. Impact of the UK Early Election on the NZD/GBP Exchange Rate - Brexit or Bremain? NZD news: Kiwi Dollar improves slightly after positive Chinese data.